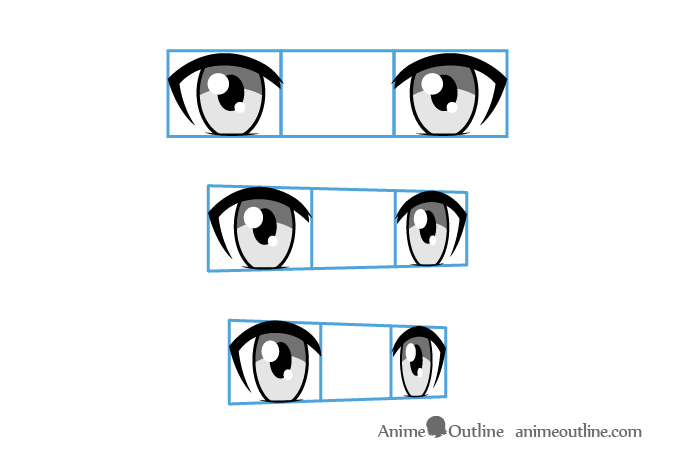 This tutorial illustrates how to draw anime eyes from different angles and is an extensions of the How to Draw Anime Eyes and Eye Expressions tutorial. In the none angled front view the eyes will usually be drawn far enough apart that you can fit another eye in between. 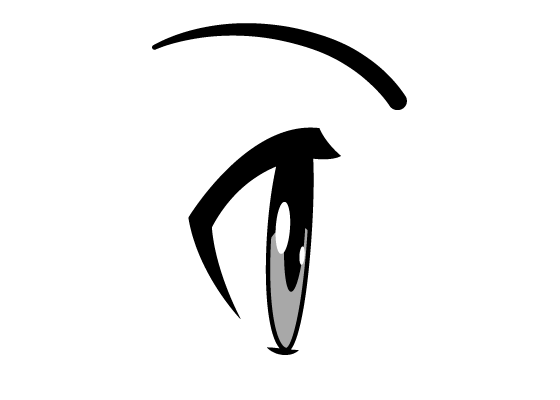 When drawing anime eyes at an angle draw everything as though it’s been vertically compressed (more so the more the eyes are angled). In addition to this the distance between the eyes drawn at an angle should be narrower than the width of the eye that is closer to the viewer. The farther away eye should be even narrower than that (it should also be smaller). One reason for this is the curve of the head. Another reason for this is that due to perspective the farther away objects are drawn smaller that objects of the same size that are closer to the viewer. When drawing the eyes from the top down view draw the top of the eyes flatter. The reason for this is that the eyelids will be more visible from this angle and will appear to cover more of the eyes. 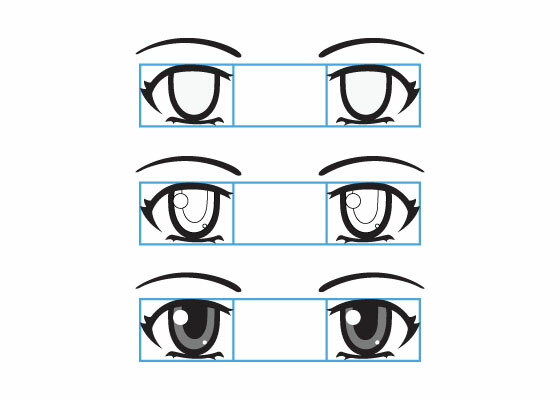 When drawing the eyes from the bottom up view draw the top of the eyes more curved. The reason for this is that when looking at the eyes from this angle the eyelids will become more hidden behinds the curvature of the eyelids. Using the right views/angles can really emphasize the emotions of the character you are drawing. 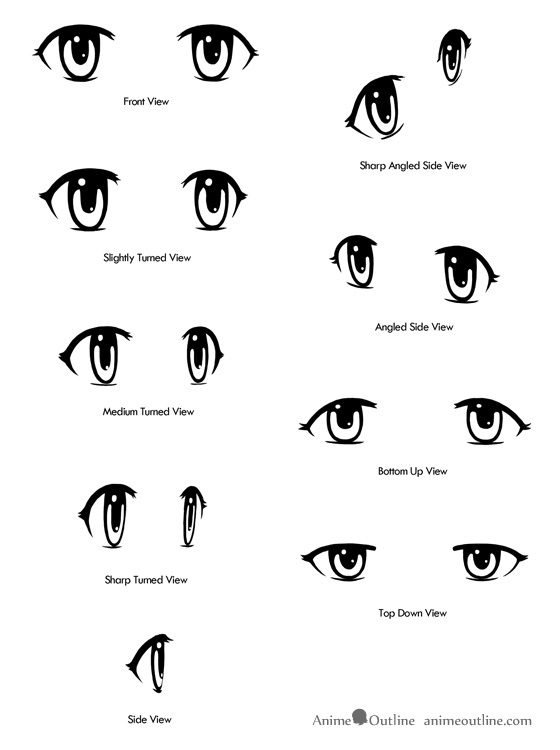 Try combining the eyes from the How to Draw Anime Eyes and Eye Expressions Tutorial with the different views in this one and you can get some interesting results.